Thanks for making yourself available for questions. I write a lot of music on guitar and I am competent but not too good with theory, etc. I usually start noodling around and find a chord progression that I like or hear something in my head and then try to figure it out on guitar for a rhythm. I often end up going to the same chord progression (or two) for the chorus of the song. Maybe because I am usually starting a verse in open chords on the first 3 frets or moveable open chords. My question is; is it cheating to use a capo and just keep using these same changes (shapes) so I wont have 3 songs with a chorus of G-D-am, or is there another way to get over this habit? Thanks for writing. You’ve touched on a topic that gets asked quite often by songwriters (and guitarists in general). 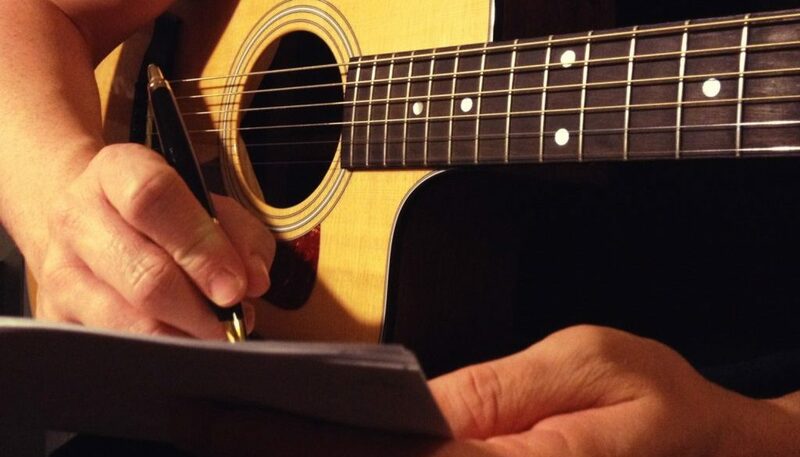 It’s something that we’ve covered before here at Guitar Noise, particularly in the Guitar Column “A Before E (except after C)” and “Multiple Personality Disorder.” But it’s always worth a second or third look as you grow and progress as a songwriter. The answer to your first question is (of course) no, it’s not cheating to use a capo. If anything, you’re actually making your songs sound different because unless you’ve an outstanding singing range, you’re going to have to change the melody when you change keys. G to D to Am becomes C to G to Dm when your capo is on the fifth fret, for example. Not many people can simply change the melody to accommodate that drastic a key change. But you can also explore other ways of playing the same chords. Instead of D, for instance, try a D9 (play a C7 but slide it up two frets – X54530). Then use Am7 (X02010) instead of Am. Or even C. In fact, if you play your G chord like a C chord all the way up the neck (at the tenth fret) and hit just five strings, you’ll have a G6 chord and you can use the same shape for all three chords. Not too bad! You say you’re “not too good with theory” – but I would venture that you’re probably better at it than you realize. It’s been my experience that most guitarists know a lot more theory than they’re aware of. It’s more that they can’t channel it up on command. This is part of why I wrote Idiot’s Guides: Guitar Theory. The last few chapters offer a lot of advice on how to avoid writing the same chord progressions over and over. You might want to give it a look-see. Thanks again for the email. I look forward to chatting with you again in 2017.